A super clean example of Sea Ray's popular boat, the 39 Motor Yacht. Offering a very comfortable layout for cruising and entertaining, the 390's optional Cummins 8.3 power makes for very good performance and economy, along with a low center of gravity design, that has been reputed as a very good riding hull to boot.This 390 MY, called "Ninth Lady", is a second owner boat and very much worth a look. From her very shiny and waxed gel coat exterior, to her clean cabin and engine room, there's nothing not to like here. Her owner's are looking to move up and this is a perfect 390 to go after. "Ninth Lady" is winterized in Baltimore Harbor, in the water, for the winter and easy to see. 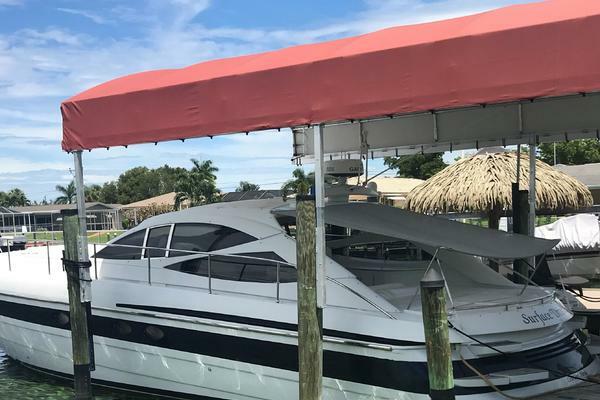 United Yacht Sales New Jersey would love to guide you through a personal showing of this 39' Sea Ray 390 Motor Yacht 2003. 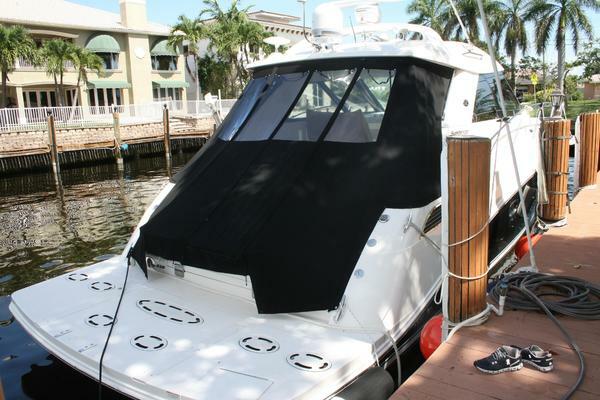 This yacht for sale is located in Baltimore, Maryland and priced at $169,000. For a showing please contact us by filling out the form on this page and we will get back to you shortly! The Sea Ray 390 Motor Yacht features smooth lines, a roomy interior, smart engineering, and a breathtaking cockpit view. The power of twin 8.3 Cummins diesel inboards will have owners on their way in no time. The 390 Motoryacht receives high marks for her spacious interior and luxury accommodations. The light-filled salon is accented with high-gloss cherry cabinetry and leather upholstery, and a high/low table with stools and a breakfast bar provide dining space. The galley, which is down from the salon level and to starboard, benefits from the natural light that flows from an overhead skylight. A washer/dryer is found under the steps that lead from the galley to the salon. Topside, an extended hardtop shelters the aft deck with its wet bar, acrylic wing doors, and bench seating. A stairway--with a safety railing--leads down to the swim platform.The guest cabin, located forward with two twin beds or use of the filler cushion, converting the starboard bed to a full-size bed. The stateroom features a privacy door, built-in nightstand, a full hanging locker with light, mirrored rope locker bulkhead, gunwale cabinets and in-floor storage. It also features a VacuFlush head, macerator, enclosed shower, chrome accessories and ample storage.The Master Stateroom features an island queen bed with innerspring mattress and storage beneath. There is a built-in night stand, additional storage in the dresser drawer unit and in the full locker with shelves. En-Suite head has a Vacuflush toilet, separate shower, counter space and generous storage.